The scalp is one of the most challenging areas for skin treatments as the hair interferes with the direct effect of UV irradiation. The PSOR comb however is specially designed to expose the scalp to the treatment by allowing deep parting of the hair. Ideal for the treatment of the scalp and small restricted lesions, as the teeth of the comb act as spacers to keep the UV tube at a safe and comfortable distance. The surprisingly light-weight device enables treatment without tiring the user. Its even small enough to fit into the luggage. On the other hand the robust design and the powerful UV tubes guarantee the longevity of this product. 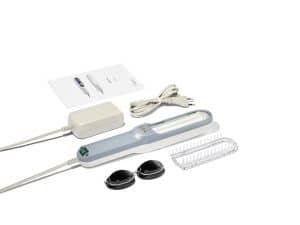 Because of its ease of use and excellent therapeutic effectiveness, the PSOR Comb has now become the device of choice for home therapy. 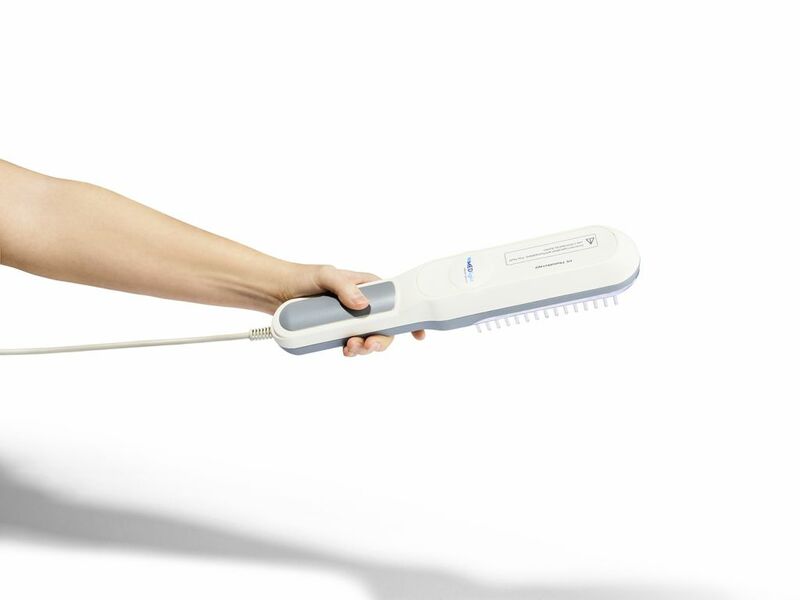 The PSOR Comb succesfully solves the problems encountered in treating Psoriasis capitis and Alopecia areata. It is also ideal for the treatment of small restricted lesions. The robust design and the powerful UV tube guarantee a long working life of this product. The UV tube is positioned between the rows of the teeth of the comb, so that the UV-energy can be applied directly to the psoriasis lesions. The patient can perform his/her own treatment by placing the comb directly on the scalp and combing the hair against its natural fall. Moist skin absorbs UV radiation better, so faster therapy results can be achieved by treating the wet scalp (e.g. after hair washing). The treatment duration lasts 5-15 minutes. This light weight and easy to handle device allows for short treatment times and can easily fits into luggage. The comb attachment can be removed to allow easy and thorough cleaning. 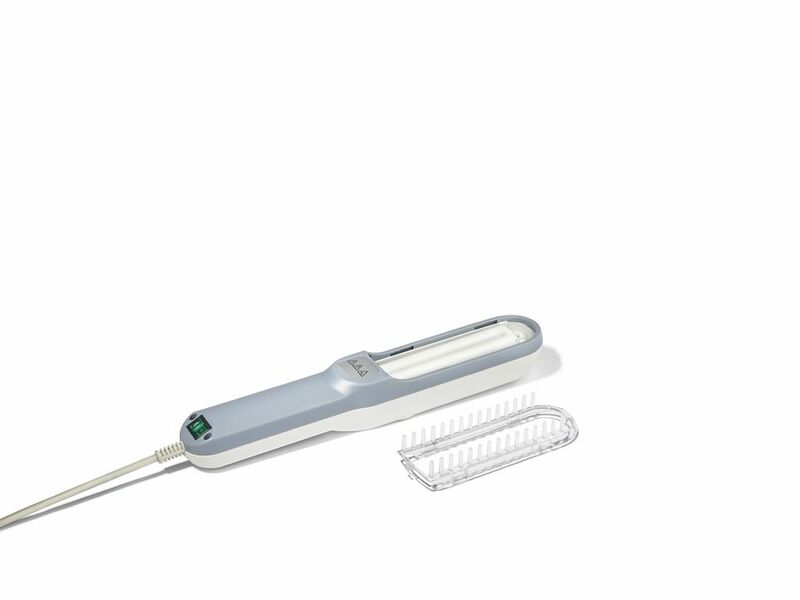 Because of its excellent therapeutic effectiveness, the PSOR Comb has now become the therapy of choice.